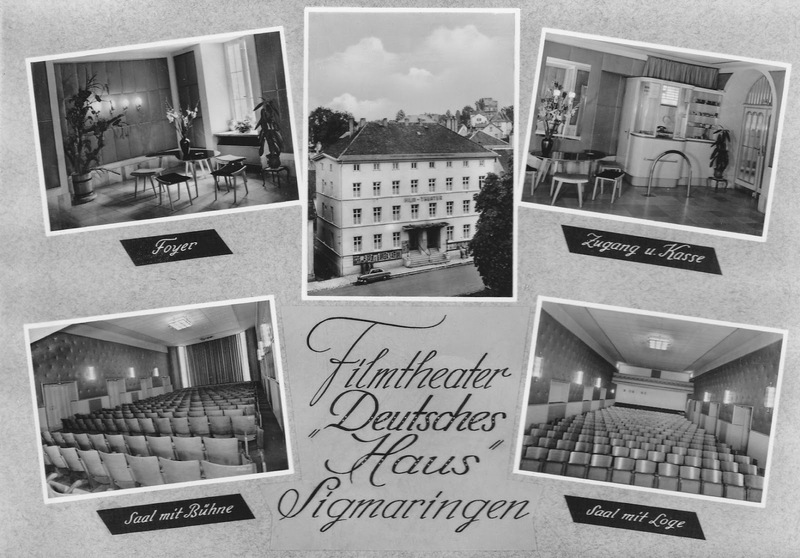 This interesting multiview postcard from 1960 shows an exterior and four interior views of the cinema "Deutsches Haus (German House)" in Sigmaringen. The house was originally built as a hotel at the Ludwigsplatz. It was the best hotel in town. In 1917 they are started showing movies, maybe in a restaurant. The interior has the good 1950s design. The last picture show was in 1969. The building was destroyed in 2011. The best I like the little cash desk in the top right picture - a lovely working place.